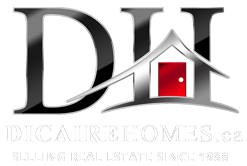 Our success comes not only from our extensive knowledge & experience in this business but also from our desire and ability to give the best possible service and support! Real estate deals are a long process and we recognize that, at the center of this process are people with individual needs who deserve a personal approach by realtors they can trust. We strive to deliver such a high level of service, that we hope our clients will feel compelled to refer us to their family & friends. 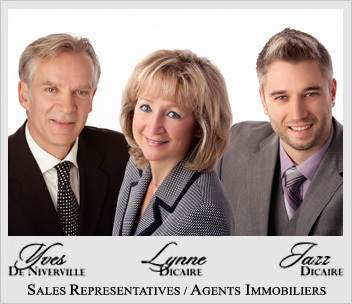 The Dicaire Team has been part of Royal LePage’s Chairman’s Club Top 1% of all realtors in Canada 11 times since 1998! Remember , when you see a sign on any property and are curious to know the price, just call us! Having Kevin as our realtor was essential. We don't believe we would have gotten the price we did had it not been for his vision, expertise and hands-on assistance. He helped us in every aspect from the initial meeting to putting the sold card out 36 hours after our home was listed. It was Kevin, not an assistant, that we dealt with throughout the entire process. His ever present optimism and stress free attitude kept us centered during the process. His ideas and execution on staging our home were crucial to the success we had in selling our home. Not only do we have a lifelong real estate agent, we have a new friend.